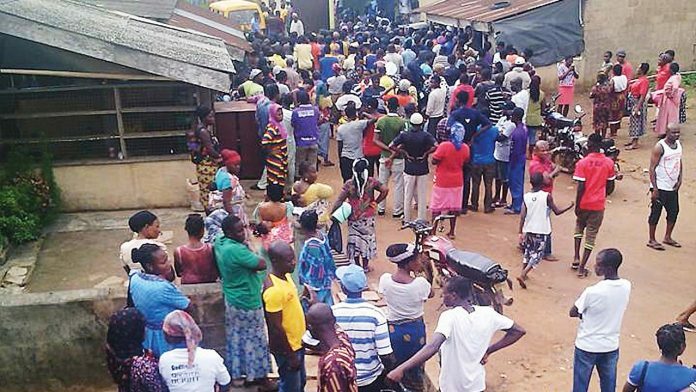 At least Three persons have been reportedly killed in a fresh attack by members of notorious cult group, Badoo. According to reports, the fresh attack took place inside the Crystal Church of Christ (C&S) Aladura at no 4, Victor Anibaba Street, Owode Weigh Bridge, along Ikorodu road last night. An eyewitness revealed that One woman and the two girls were killed during the attack. The dreaded cult members reportedly attacked the wife of the founder of the church, Mrs. Ajidara, her two-year old daughter and another woman who lived in the church with her daughter.